Why People Should Exercise Regularly? 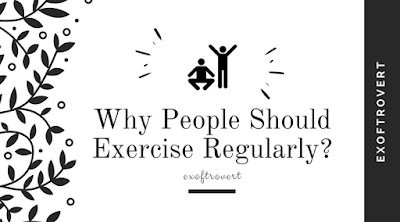 - Ex of Introvert Why People Should Exercise Regularly? Why People Should Exercise Regularly? 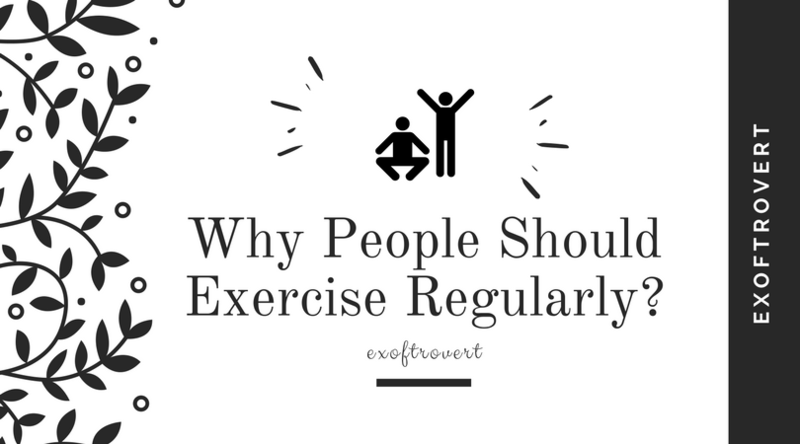 Why People Should Exercise Regularly? - Sometimes, because of the busyness of daily activities, we forget something that is most important in life that is exercising. In fact, ignoring health can bring disease that can ultimately inhibit activity. In order not to hurt amid the dense activity, it is important to keep live life in a healthy way. One of the things that should not be forgotten is the sport to maintain the body's metabolism. Maintaining the rhythm of the body's metabolism becomes crucial to health. Therefore, this process involves burning calories that are processed into energy for activity capital. When a person stops exercising, the metabolic process will decrease or slow down. This is what makes the body's ability to burn calories was disrupted. As a result, a person will get fat faster. Or other bad effects, it could be the embryo of chronic diseases, such as high cholesterol and heart disease. A clinical psychologist and book writer, Ben Michaelis, says that there is relevance between the health of the body and the mental health of humans, quoted from Kompas. "The body is the mind and the mind is the body.When you take care of the body well, then all the systems you have, including the mind, will be well preserved as well." For your information, bone health can be maintained with exercise. Research has found that a healthy lifestyle with regular exercise, especially for women, has been shown to increase muscle and bone density and strength. Given these benefits, it's good to start counting exercise as a routine to start a healthy life. If you tend to fear tired, look for a simple sport first. Short of jogging or walking for 30 minutes in a day, for example, could be a good idea to start the habit. But do it regularly. For example, should be lived 3-5 times a week. Then, make the sport in a fun way. Invite friends in the activity can also be an alternative to the moment chatting so as not to get bored quickly. If you like music or dance, you can also choose a sport that allows both things to remain in the activity. Follow a fast rhythm sport that uses music like zumba. Home » Body » Exercise » health » Lifestyle » » Why People Should Exercise Regularly?